Did I mention we bought a couch? But it is very similar to our couch — same brand and color. Ours is much more L-shaped and has a chaise lounge off one side. The reason we bought a couch is because our family room is ALMOST finished. 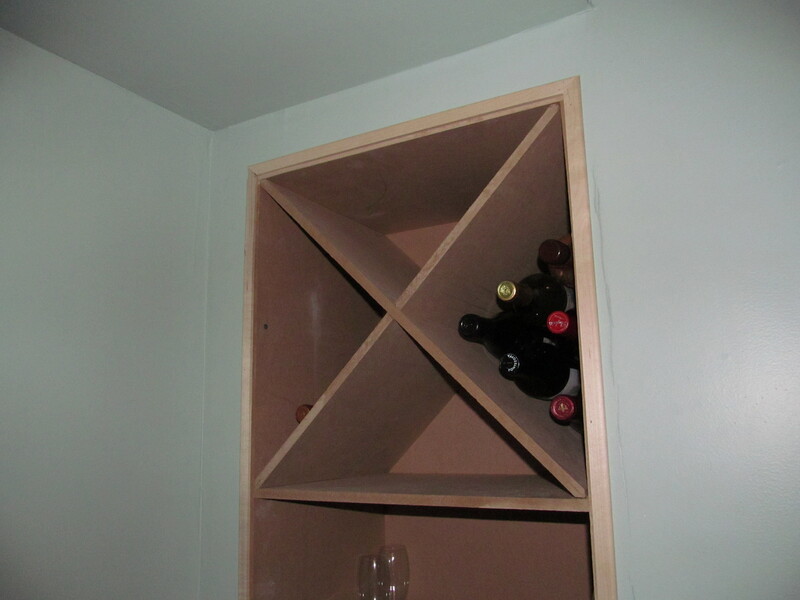 On Monday, the hubby and Glen built a custom television cabinet in the space, and yesterday they spent all day creating a built-in wine shelf for behind our bar. The TV shelf is massive, but Brian likes it and it’s manly largeness. It will be great for storing all of our electrical equipment. Plus, they made it so all of the wires around the rest of the room will be hidden. Sweet. 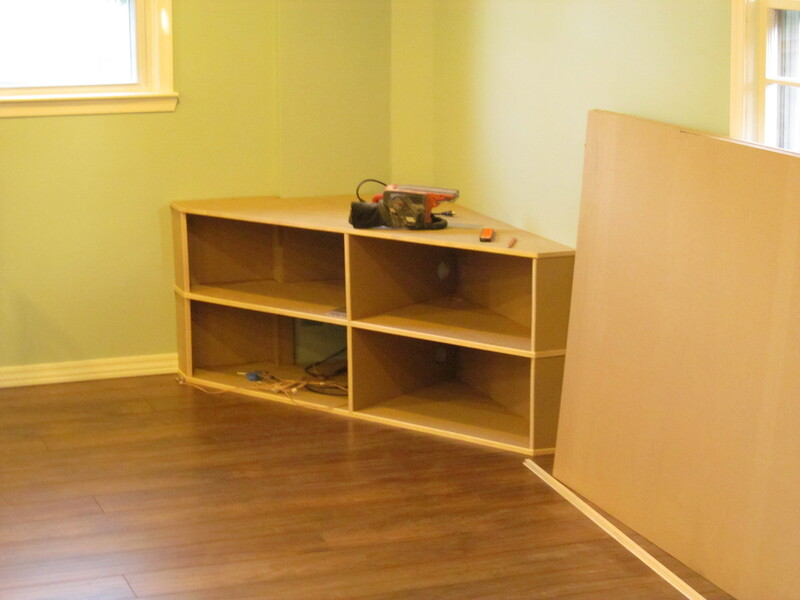 Our couch will go on the left side of the room, right in front of our newly boxed in support beam! Does’t that look great?!?! We are going to paint both the column and the TV stand the same color as the room so they blend in a little bit more. Isn’t it WONDERFUL!?!?! I am in love. 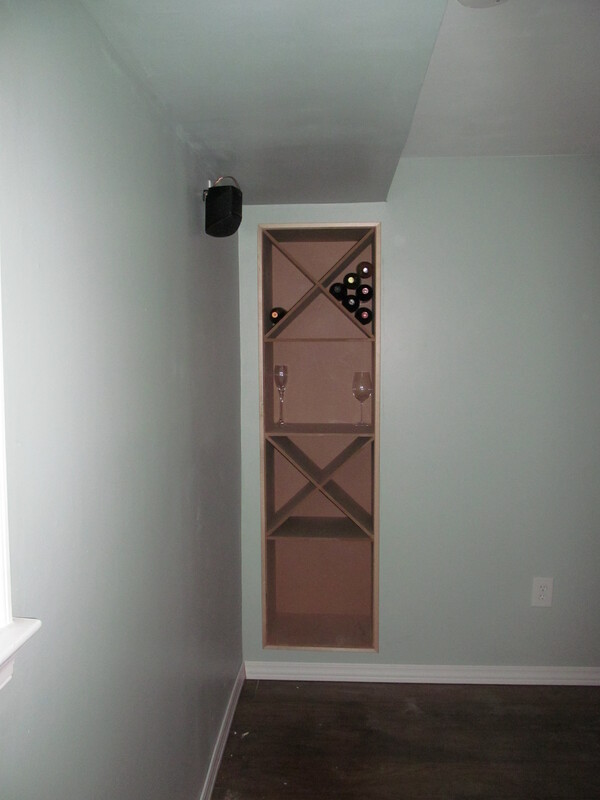 It will hold 48 bottles of wine in the X shelves alone! That is almost a bottle of wine a week! It will also display a bunch of our wedding stemware, which is great because our pretty glasses are taking up precious space in our storage room. Now I need to figure out what color to paint it… The hubby thinks we should leave it as is, but I don’t like the unfinished look of MDF. I’m thinking white. Thoughts? 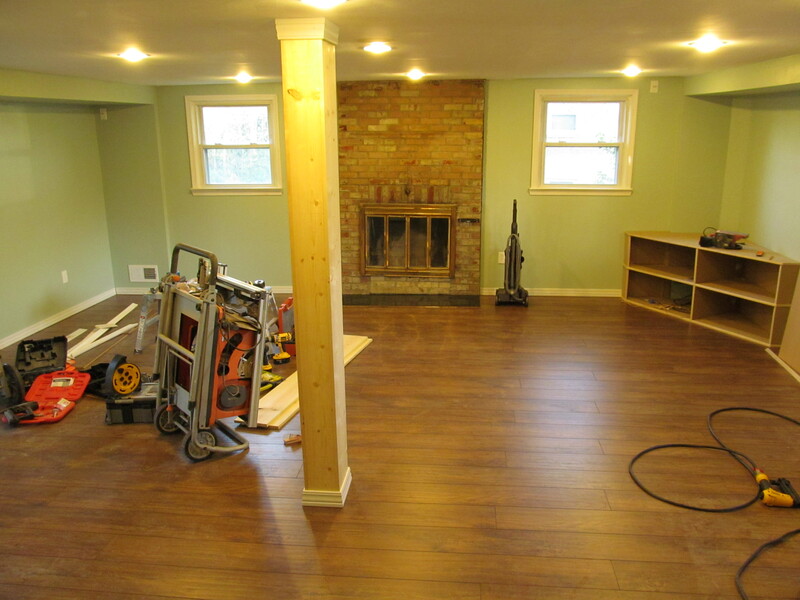 Also, Glen is officially finished his part of the family room tomorrow! All that will be left for us to do is paint the cabinet, column and wine rack. Yay! Love it all, especially the wine cabinet..
Glad to see your new house is shaping up! Love the wine rack build! Thanks! I am so excited about it. We weren’t going to do it at first, but I am SO glad we did. It is great to have the extra storage. And hey, I won’t say no to a place to store lots of wine! Everything looks great! I think the wine rack would look good painted white also.